Outsourcing has been a market trend for several decades, but it has become more popular in recent years. It is a business practice in which a company hires resources from third-party vendors to handle specific functions. One of the significant benefits of outsourcing that has drawn IT companies to adopt it is that it enables the business to get a particular task done by specialists at a much competitive price. If you are looking to have a “Forever Happy Client”, consider outsourcing. Read on to know the benefits of outsourcing and then take your call. You may have the best people in your team but not the right ones for every kind of project. Outsourcing helps to reach out to people with the right expertise and experience spread across different parts of the globe. You may not have requirements for specific experts always but as, and when the project comes up, you need them; this is when outsourcing helps. You connect to these talented resources to help you with better outcomes while you concentrate on other vital areas. You cannot expect your team to know it all. Outsourcing works great for projects requiring knowledge your team may not have expertise in. This way you get the best resources to work on your project while your internal team focuses on areas they do best. Suppose, your employees need to complete a good number of training modules in a particular time period, but when it comes to LMS management, your internal resources are at a loss. If you outsource the LMS management tasks like managing course assignments and drafting learning paths, supervising the completion of mandatory compliance training, etc, you help your team grow stronger in their profile. Outsourcing takes away the need to hire more in-house professionals. Contracts with third-party vendors ensure you pay only for that much effort as is needed for a particular project without having to maintain a vast infrastructure of permanent resources. Outsourcing to low-cost countries like India or the Philippines ensures you get quality services at a much affordable price. One of the major benefits of outsourcing is it enables your business to operate round the clock even when your in-house resources are asleep. Consider outsourcing to countries that have different time zone as yours to see your work done faster. Your outsourcing partner takes over the work when you are away and send it for review once you are back the next day. This way you can aim for faster completion of the project with better revenue generation. Every business has some or other risks concerning the changing markets and financial conditions. Outsourcing providers know every aspect of their areas of expertise including risk management. Let’s take for example, your company wants to introduce a new product in a different country. Your outsourcing agent, being aware of the local culture of that country, can guide you with the required changes to the product to make it acceptable in that particular region. They know how to prepare strategies to manage risks that would nullify any chance of loss for you. You get a clear edge over your competitors with the right investment of resources and funds. Outsourcing enables your business to have complete control over the recruitment and management of staff. You can scale up and down your resources depending on demand. For example, if you have a project which requires qualified software developers with knowledge of a particular application that your internal team does not specialize in, you can consider outsourcing to save both time and cost of your project. Another advantage is you can book the external resources for as much time as you need them without having to give them a long-term commitment. Most small businesses don’t have the infrastructure that matches the bigger firms. With outsourcing, you can get similar technologies and expertise that the bigger companies have. Third-party vendors are efficient with turn-around time and ensure quality services. In turn, you delight your customers by meeting their requirement on time without compromising on quality. The impeccable service leads to the creation of a stream of loyal customers bringing in better revenue prospects for your company. Depending upon distance and time zone difference of the outsourcing partner, you can broadly classify outsourcing into four types ─ Offshoring, Nearshoring, Onshoring, and Multisourcing. Let’s see what each of these terms means. What it means: Also called offshore outsourcing, this refers to the business practice of outsourcing services to companies located in far distance with a very different time zone. How it benefits: This type of service is extremely beneficial for companies looking for uninterrupted service. Companies get low labor costs and a large talent pool. Example: Suppose you run a web development company in New York and you are looking for offshoring partners. An Indian company will be ideal for you considering the vast time zone difference of more than 10 hours. What it means: Nearshore outsourcing is similar to offshore outsourcing except for the fact that in this case, the outsourcing partner is located close to your location or at a distance with a time zone difference of just a couple of hours. How it benefits: Since the time zone difference is less, the communication is smoother than offshoring. Countries located close to each other share cultural crossovers that make communication easy and convenient. Example: If you have an IT startup in Mexico, you can consider a company in California as the time zone difference is just 2 hours. What it means: This is also called as homeshoring. With this model, companies outsource to third-party vendors operating from a different location within national borders. This term is also used for the practice when the employees work remotely from home. How it benefits: Many big clients look for proximity as a condition to work for this provides just-in-time service. 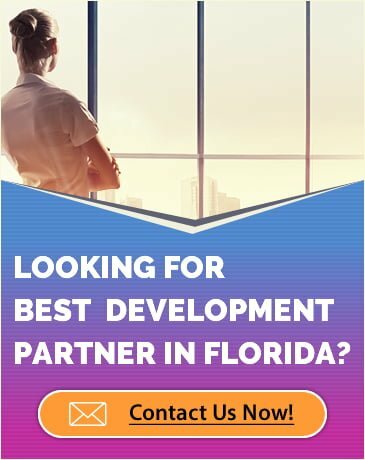 Example: Suppose you are based in Florida, and your client insists you outsource only to companies in closer proximity. In such a case, you can opt for onshoring to a vendor in Georgia. What it means: This refers to outsourcing to multiple vendors in different locations. How it benefits: The best part about multisourcing is it enables better risk management with higher returns. Example: Suppose you need a vendor for your client’s software development. You signed a contract with a company in India to develop it. After a few months, you have a requirement for content creation, and you choose a company in Munich to help you. After a year, you want to market your product in California, and you partner with a local company. This is how multisourcing works. We are here to help you with all types of outsourcing requirements. WBPRO partners with global companies to develop innovative and customized software applications at a highly competitive price. We have a dedicated development team who can assist you with maintenance and support needs. Our services are not just limited to software and mobile apps, but extend to fields like Data Science, Instructional Design, LMS Management, Business Analytics, Website Development, and Systems Integration. Whether it is the development of a training module or analysis of data for Machine Learning, our experts are here to assist you. Explore our offerings in outsourcing domain. Contact us at sales@wbpro.com and get the best service at the most competitive price. We can help! Please fill the form below.